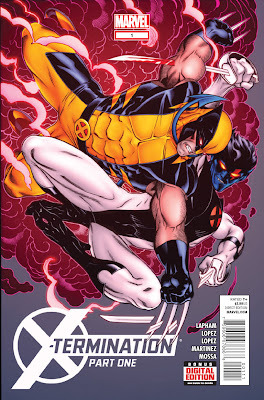 X-Treme X-Men is a series that started in July 2012 written by Greg Pak. 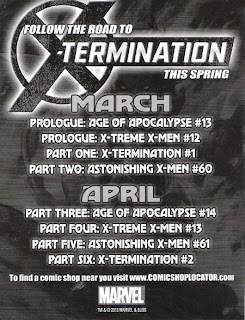 The title is involved in the short crossover X-Termination along with Astonishing X-Men and Age of Apocalypse. 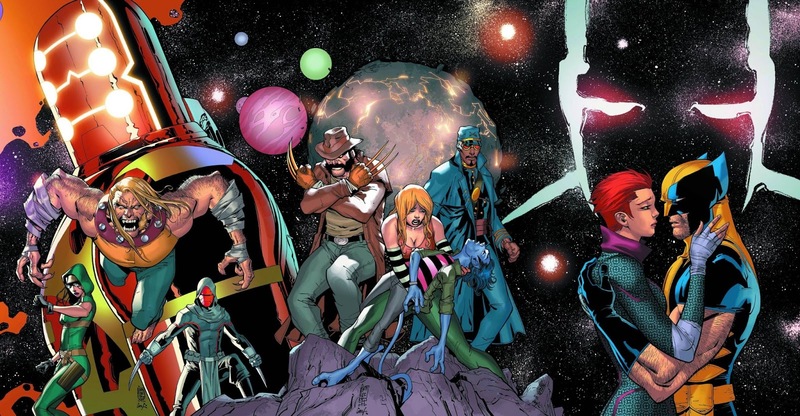 The title spins out of Pak's 'Exalted' arc in Astonishing X-Men. 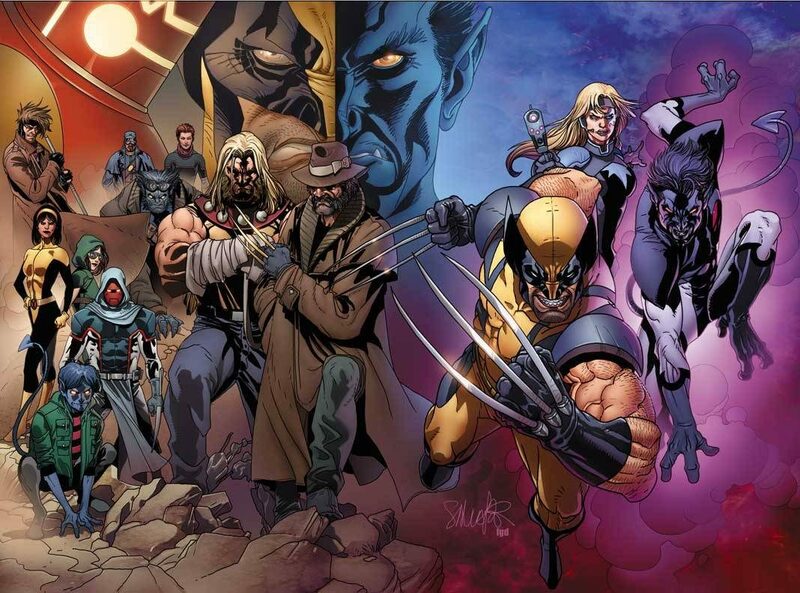 It focuses on a group of mutant heroes from different alternate realities on a mission to save all realities. It is slated to be cancelled with #13 (2013). For more on the new Xtreme X-Men series, check here.. The original 'X-Treme X-Men' series, written by Chris Claremont with art from Salvador Larroca and Igor Kordey, was published from 2001 to 2004. 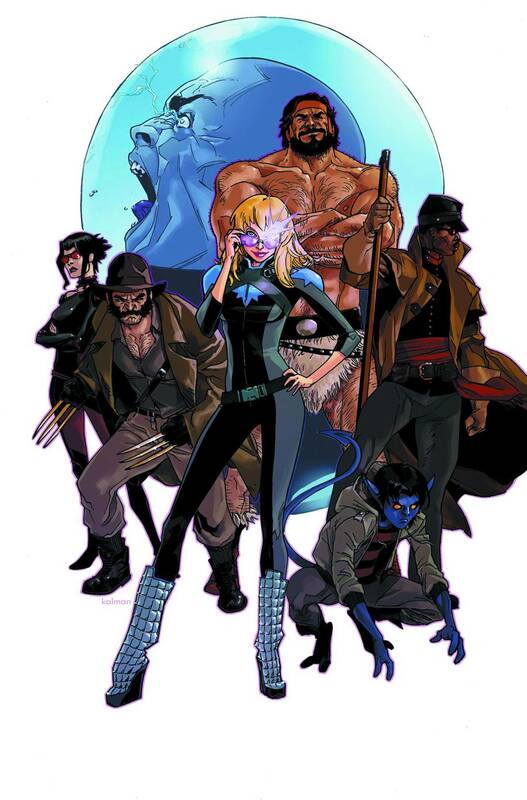 It features a splinter team of X-Men led by Storm on a quest to recover the Destiny's Diaries which later became the Xtreme Sanctions Executive. 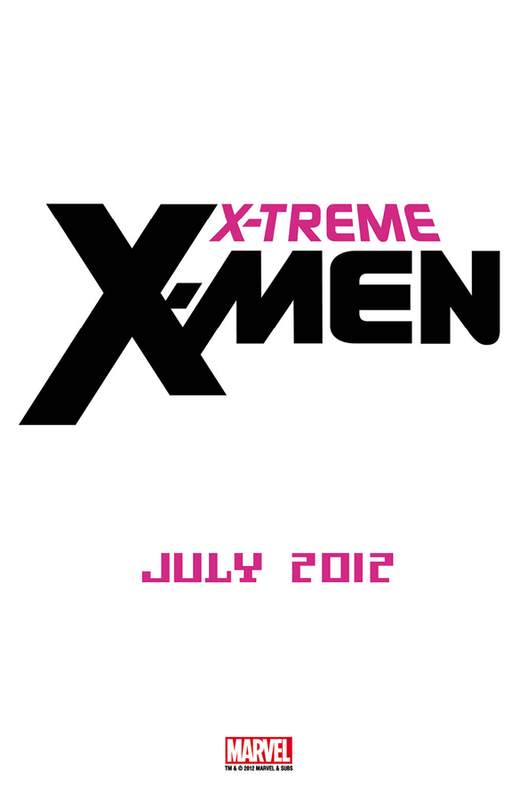 For more on the old X-Treme X-Men, check here.. The core team revealed consist of Dazzler from core series (616 universe); Howlett, an alternate Wolverine who is the former Governor General James Howlett of the Dominion of Canada and Viceroy of Her Majesty's Expedition to Shangri-La; and Kid Nightcrawler, a ten-year-old from an alternate universe in which grade schoolers take classes on Quantum Mechanics and the Practical Uses of Infinity. He has a Spider-Man lunchbox, a purple belt in taekwondo. While the title is Xtreme X-Men, it is closer in theme to the Exiles series, featuring a team of dimension-hopping heroes. It all started when Savior, Xavier from an alternate reality, kidnapped Cyclops from Earth-616 to power his planet saving device. 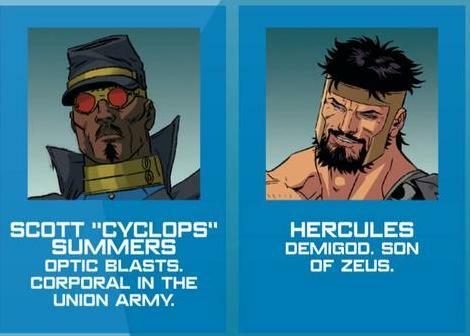 Cyclops helped fellow prisoners Governor-General Howlett, Kurt Waggoner, Emmeline Frost-Summers and Shadow, and ended Savior's machinations. However, Shadow died in the process. The ex-prisoners sent Cyclops back to his own dimension. Kurt Waggoner and the several hundred disembodied Xaviers used their powers to search the multiverse for an uninhabited and habitable Earth, and teleported the entire population there. All of the Xaviers' heads exploded, save one who was awaken to ten other Xaviers in the multiverse who were using their powers to rip reality apart. Kurt, Howlett and Emmeline were pulled into another dimension by one of those evil Xavier. At the same time, the X-Men in Earth-616 used a Ghost Box to open a portal to them and Dazzler was pulled in. They form a team to destroy the ten evil Xaviers. They destroyed a "Cthulu Floating Brain" Xavier, then travel to a dimension ruled by mutant gods who subjugated the human populace. They defeated a "Steampunk Godworld" Xavier, self-styled "hero" who had been secretly manipulating the gods to perpetuate a conflict that he believed will bring out the best in humans. After the gods were freed, they offered the X-Men the gift of immortality which Emmeline accepted. 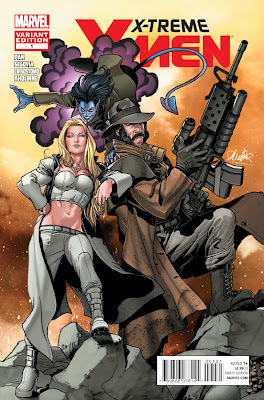 The team next traveled to a Wild West dimension where they defeated the crime boss "Cowboy" Xavier and his Xavier Gang, freeing his prisoner John Howlett in the process. When the team attempted jumped into another dimension, Kurt saw a vision of his parents from his own world and separated from the group to chase after them. 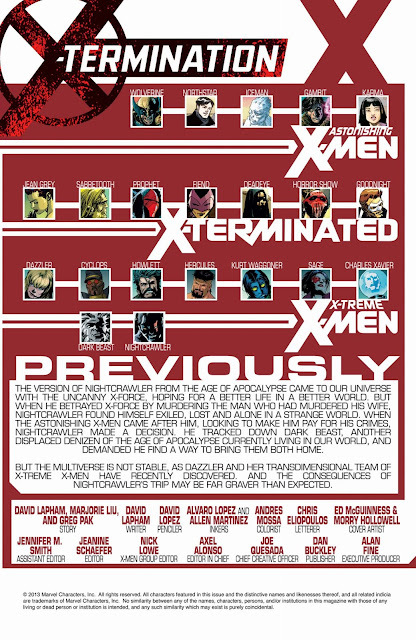 Dazzler and Howlett chose to go after Kurt and Xavier sent them after him. However, Xavier remained behind. 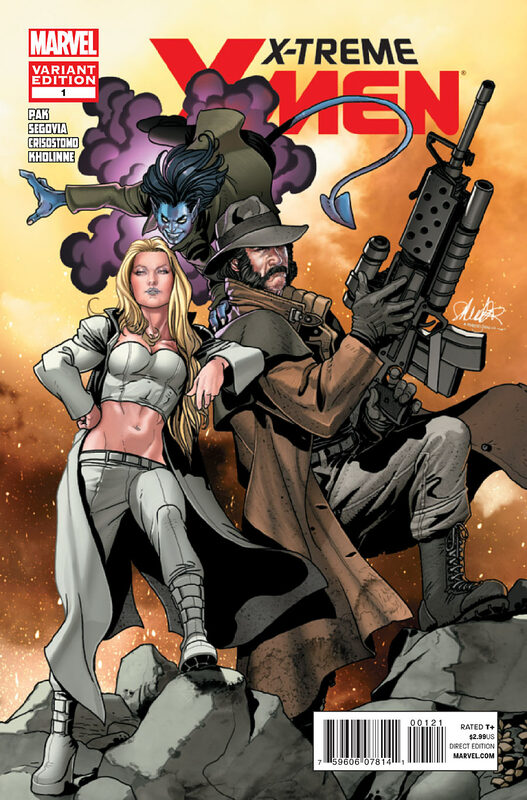 Dazzler and Howlett rescued Kurt and recruited Dazzler's long-lost teammate Sage, who had become a SWORD interplanetary ambassador in this dimension. 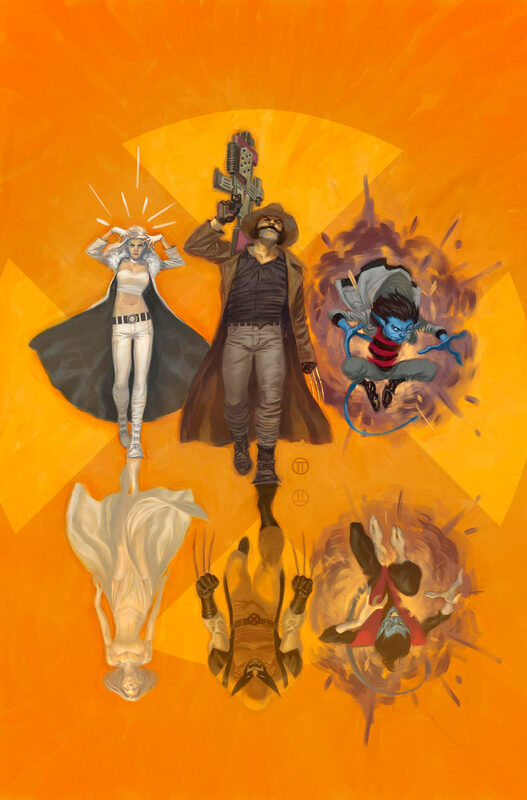 Meanwhile, Xavier recruited a team of X-Force to continue his mission, including Captain Alison Blaire from a dimension where she was one of the last survivors of a zombie apocalypse; Hercules, Howlett's lover; and Corporal Scott Summers of the Union Army. This team managed to kill a "Dinosaur" Xavier. In Sage's SWORD robot, they encountered the Brood and their controlled Ancanti Skywhale Xavier. They follow the Brood to Earth-616 where they discover that the Xavier in that dimension had been killed by the Phoenix-possessed Cyclops. They destroyed the Brood and eased Ancanti Skywhale Xavier into death. They jumped into a dimension where they encounter unicorns. Xavier's X-Force arrived and revealed the unicorns' true nature as demons, killing the 'Demon' Xavier. Both teams were forced to work together as both Alisons fought for leadership. They next jumped into a dimension where an evil Lord Xavier, Witch King was the tyrant ruler of Gha-No-Shah. His army of orcs and Beasts terrorized the world, killing and eating many Crawlers (Nightcrawler lookalikes). Captain Alison sacrificed herself to kill him. However, Lord Xavier managed to hide himself in the mind of the team's Xavier. In the next dimension, the team faced an Xavier who is the founding leader of the British Union of Facists, a Nazi-like party. He swore to save his country from depression, exploitation, corruption and invasion. To that end, he worked with fellow dictators to conquer the world, killing Captain America in the process. After the war, he killed all his fellow dictators. The Atlanteans flooded the world in an attempt to conquer it. Namor Miyamoto, the protector of Japan and estranged prince of Atlantis, was angered and fought against his people. 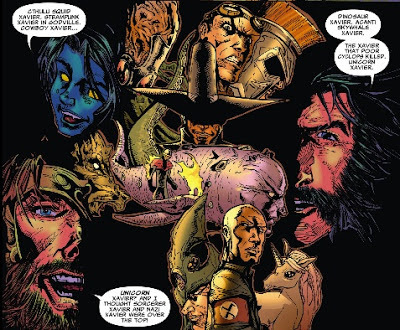 However, Xavier decimated the Atlanteans, and Namor vowed revenge. The Nazi Xavier tried to convince the team that Namor was going to kill his surviving people. However, the team eventually discovered the Nazi Xavier's true motives and Dazzler killed him. The team's Xavier told the team that they had completed their mission and was ready to return them to their dimensions. However, they realized that they have only killed nine. 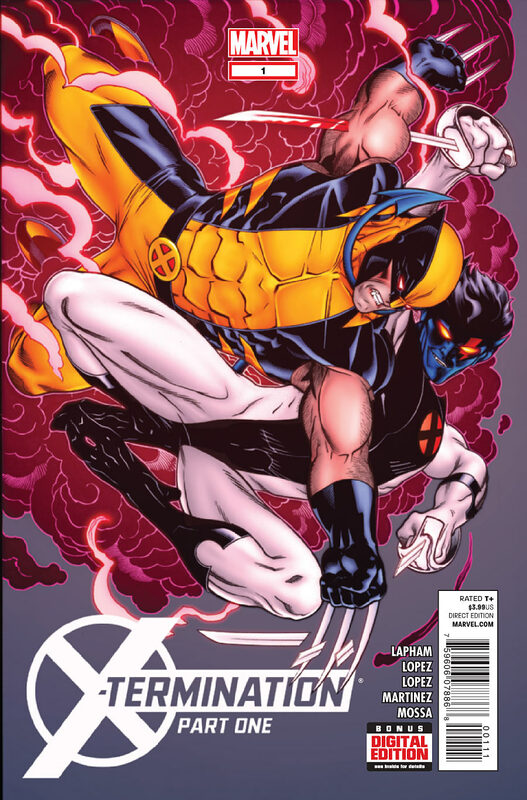 They seek out Xavier, only to find him controlled by Lord Xavier, who also resurrected Nazi Xavier. The trio attempted to harness power from a portal in another dimension in the multiverse and were attacked by the X-Men. Lord Xavier and Nazi Xavier were destroyed and the portal was closed but not before the people in the dimension were sucked into it, entering another dimension. X-Termination is a short crossover involving Astonishing X-Men, X-Treme X-Men and Age of Apocalypse. 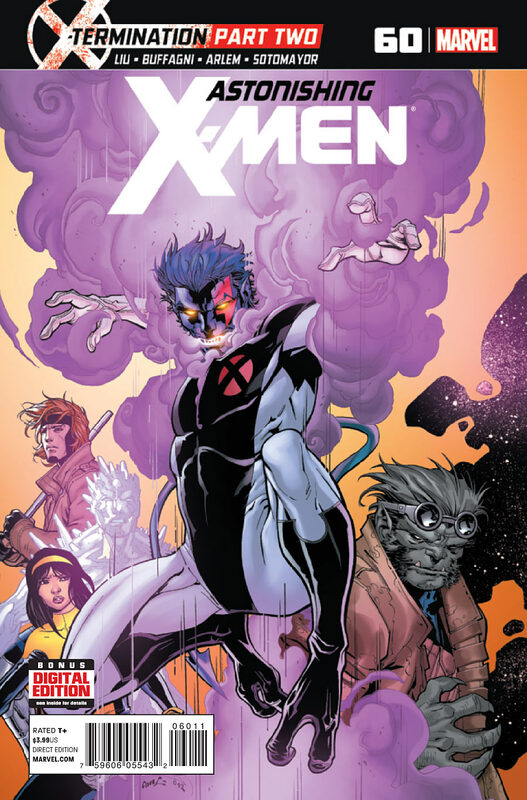 Astonishing X-Men is written by Majorie Liu, X-Treme X-Men is written by Greg Pak and Age of Apocalypse is written by David Lapham. X-Treme X-Men and Age of Apocalypse were cancelled after this crossover. A hole was torn in the fabric of space-time when AoA Nightcrawler and Dark Beast used the Dreaming Celestial to try and get back home which released three energy-consuming monsters known as the Exterminators. When the Exterminators emerged, they were greeted by the X-Men, the transdimensional X-Men and the X-Terminated. One of the Exterminators departed to Earth-616 where he drained the Dreaming Celestial while the other two Exterminators remained on the AoA reality, one feeding off the rift and the other seeking out the power of Apocalypse in the Death Seed. It was soon revealed that at the dawn of the universe's birth, when the Celestials shaped creation, they created the Exterminators to balance life and creation with death and destruction. However, the Exterminators turned against the Celestials. The Celestials were unable to destroy them and thus separated the universe into the Multiverse in order to imprison and bond them in the walls that separated all realities. The Celestials proceeded to created the Death Seed with the same purpose of death and destruction. Casualties include AoA's Sabretooth, Horror Show, Fiend as well as the X-Treme X-Men's Xavier, Kid Nightcrawler and Hercules as the combined forces fought in vain. 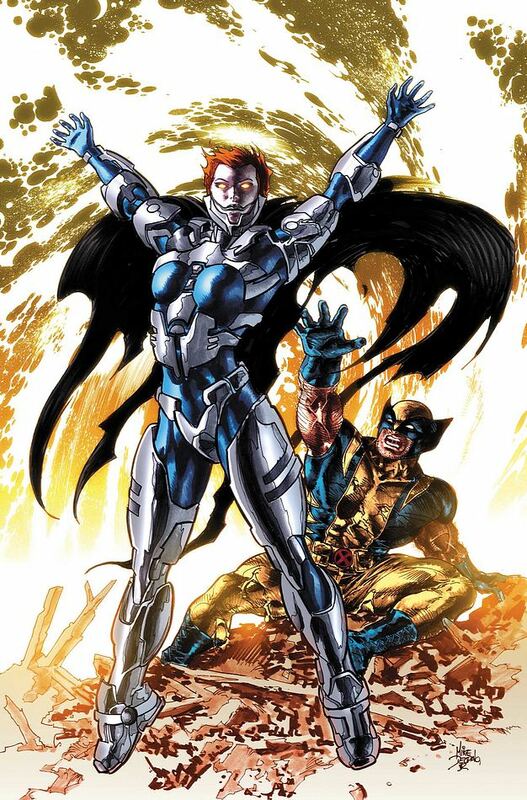 AoA Jean Grey took the power of Apocalypse into herself. but was unable to stop the Exterminators. 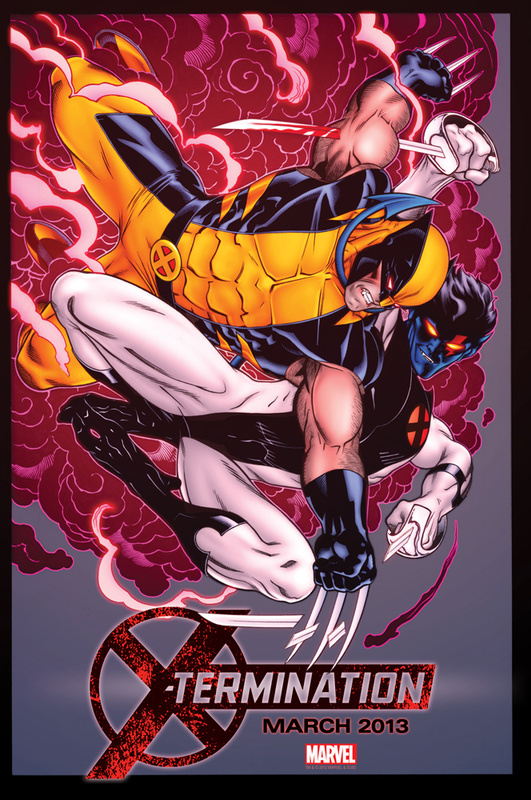 In the end, by using AoA Nightcrawler's teleportation powers, the surviving heroes were taken back to Earth-616 where after using one last jump, Nightcralwer apparently sacrificed his own life to close the Age of Apocalypse universe from the multiverse trapping the Exterminators in that reality forever.